Please Note: This item is only available for in-store pick-up. Minimum age for purchase is 18, and government issued photo ID is required. 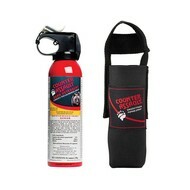 Bear Spray can prevent animal-human conflicts using a non-lethal formula that does not permanently harm the animal. Only a small amount of Bear Spray is usually needed to arrest aggressive behavior. 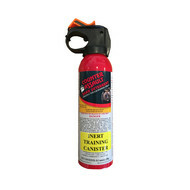 A short blast of Bear Spray will often be enough to scare an aggressive bear away, but if not, the high volume, high velocity cone-shaped spray of burning pepper (3 million Scoville heat units) is sure to stop an attack. 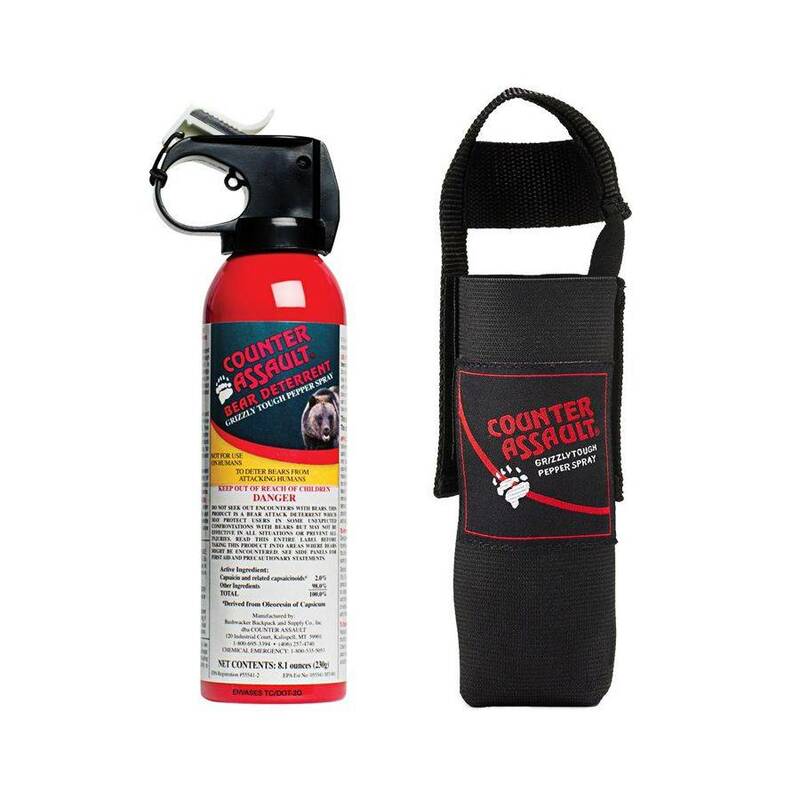 Bear Spray comes in a 230 g canister and is effective up to 12 to 32 feet depending on wind conditions and empties in approximately 9.2 sec. Features a safety cap to help prevent accidental discharge. Use with extreme caution if not used properly, it can disable the user, rather than the attacker.